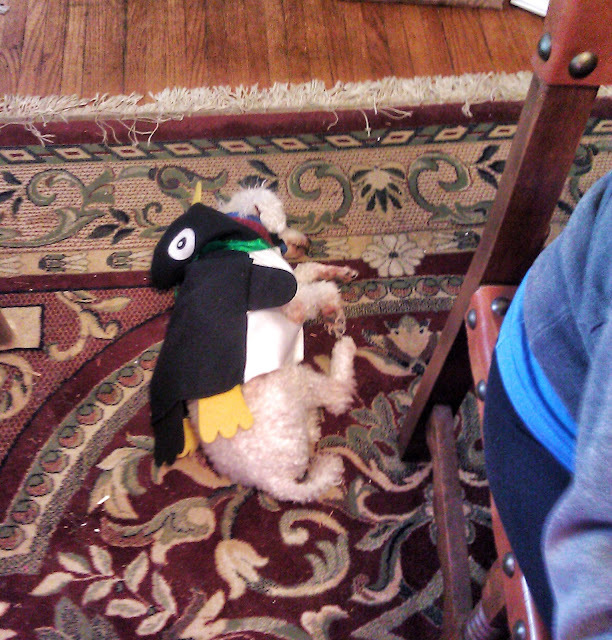 For Christmas, I bought my parent's poodle, Trippie, a penguin outfit. 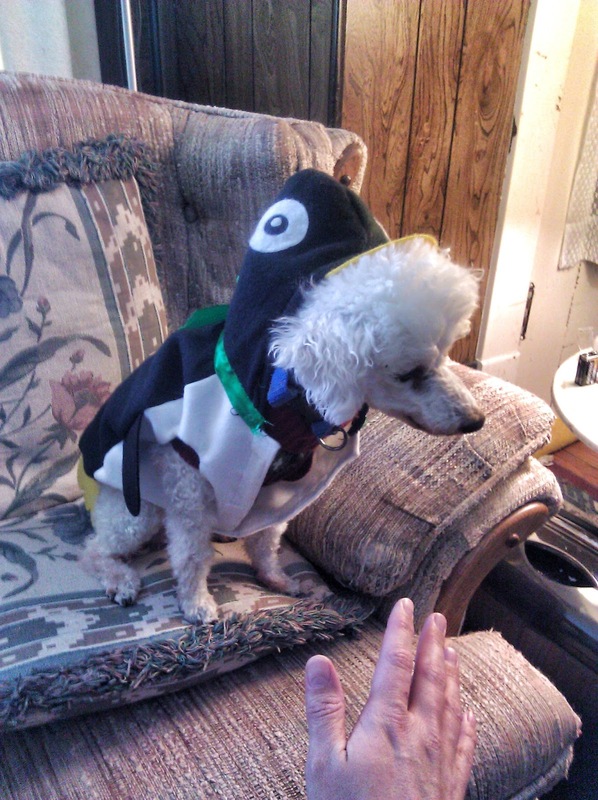 He's in a sweater throughout the fall and winter anyway, so playing dress up is something he's used to. . 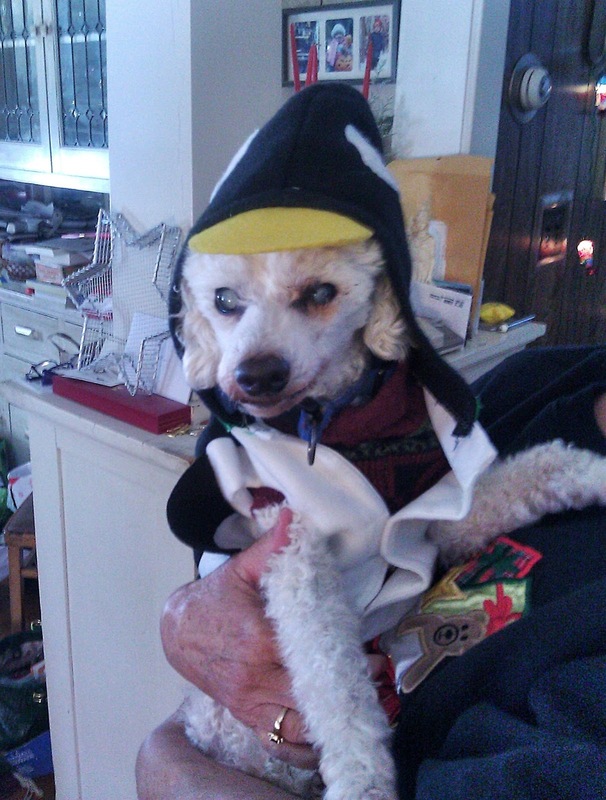 He didn't really like having the penguin hood up but we finally got a photo of it. The suit is was actually big enough to fit over his normal sweater so he seemed to like it as he was a little warmer and by the end of the day he seemed to be used to it. Which brings me to Riga, Latvia. Laura and I were walking back from dinner when we heard a commotion coming up behind us. 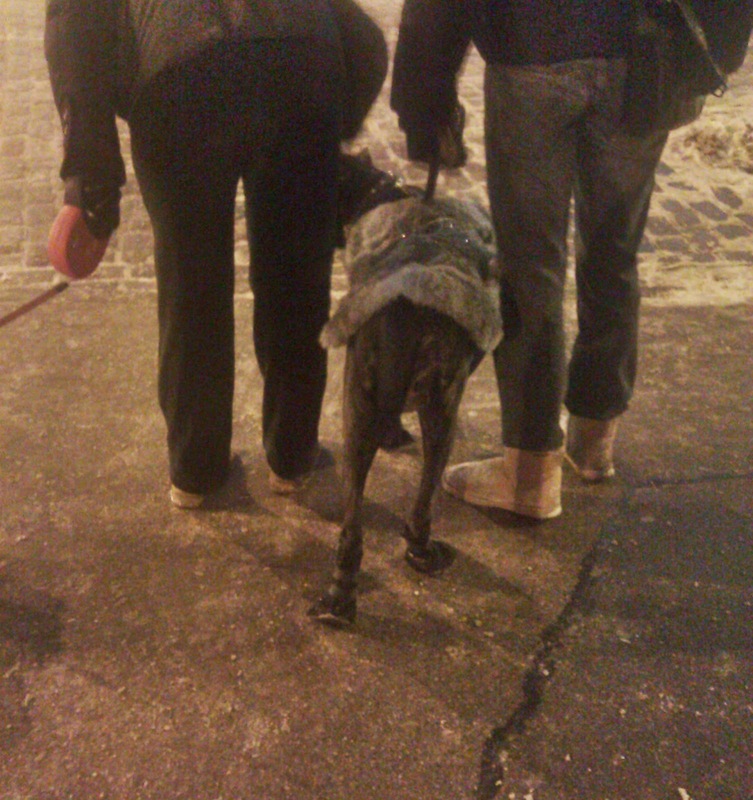 It sounded like a group of people catching up to us...but upon turning around we were treated to two people with two dogs wearing shoes. 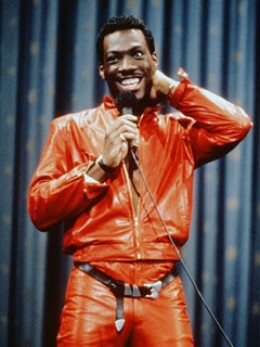 The other dog was comfortable with his shoes and had a maroon leather that reminded me of this photo. 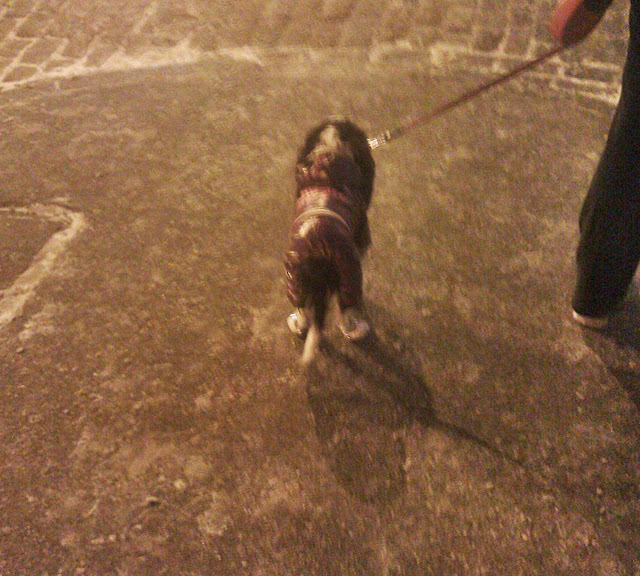 The larger dog was dressed in what looked like a mink stole and was having a little more trouble with his shoes. The sound he was making walking was something like this. I'm glad to see that embarrassing dogs is an international sport. The View From My Window #8: Premium-Comfort Kiev!